Since I moved to California 2 weeks ago, I was waiting for the sunny day to visit the beach. It has been very busy with all those moving activities and setting up the new base. We finally received our stuff through movers. After waiting for 15 days now I am excited to decorate my new apartment and making it home. This year due to moving I was not able to enjoy the spring season to its fullest, but now I am so ready to enjoy the sunny days in the sunshine state. Torrance beach was my very first outing spot after we moved to LA in California. 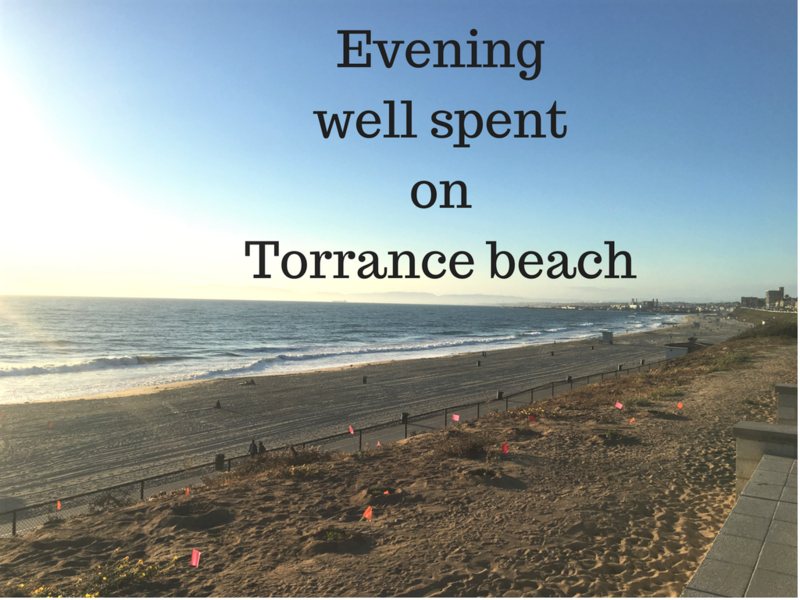 A long weekend evening well spent on Torrance beach. Instead of going for a long weekend trip we decided to stay at home and arrange stuff in our new apartment. Saturday was too tiring, we were a busy whole day with setting up the kitchen and living room. 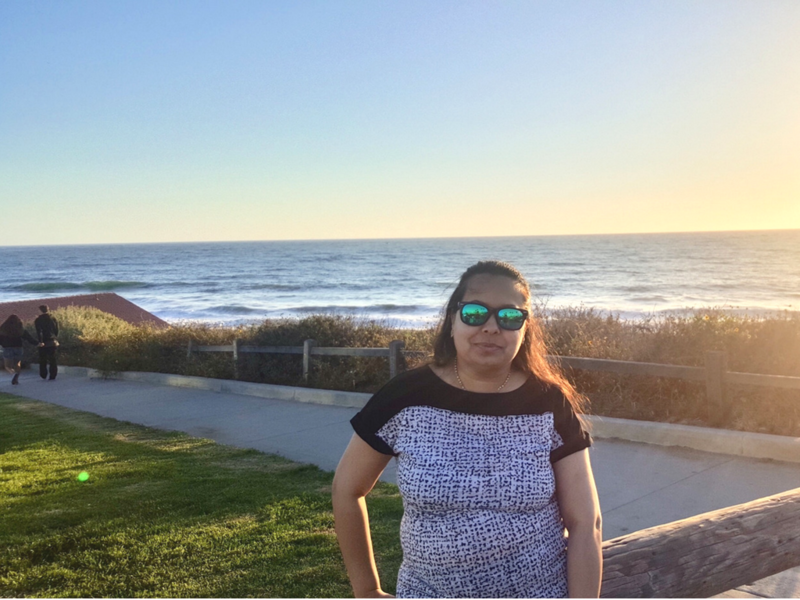 Finally, we decided to take out some time on Sunday evening and went to a Torrance beach to enjoy the sunny day and a beautiful view of mountains. 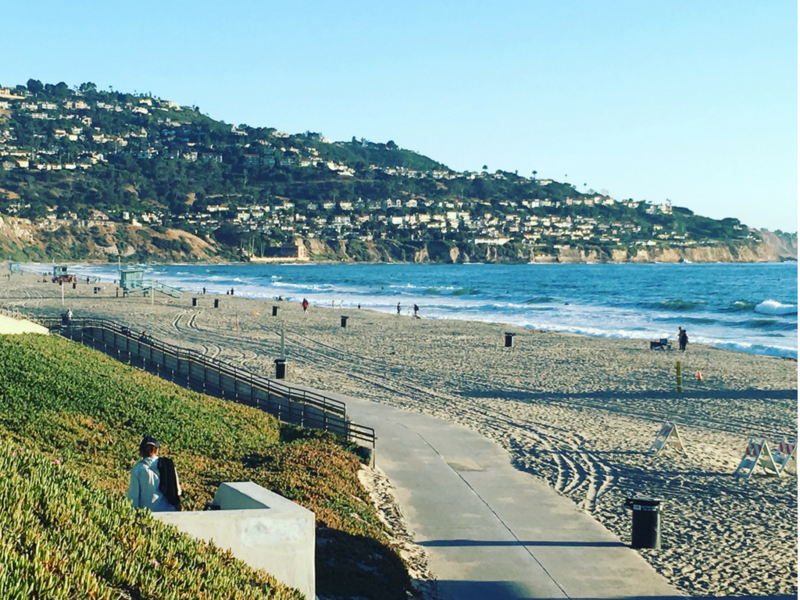 On Torrance beach, you will find plenty of parking spots some are free street parking others are paid parking space. There is a sidewalk along the whole beach so no matter where you park, you can get back to the beach. You will see plenty of neighborhood residents who come to the beach for an evening walk. One side you will see the tiny house peaking from the mountain and the view is simply stunning, just like you are seeing a wallpaper. And another side you will see Pacific coastline. In California, you can see the sunset from most of the beach. Torrance beach is a great spot to see the sunset because it is not crowded. In the south bay area, this is a quiet beach and you don’t have to go through the traffic. This beach is family friendly because you will find stairs as well as wheelchair/stroller accessible ramp. If you don’t want to get down the beach, then you can relax at the Miramar Park. This park has the scenic view. You will see people enjoying the picnic with their families.